24-hour forecast: Sunny with cloudy spells today and partly cloudy tonight. Showers or thunderstorms will be isolated. General Outlook: For Friday is for isolated showers or thunderstorms to develop. Slightly more will affect the south Friday night. Today E-NE 5-10 kts Light Chop-Choppy 3-4 ft ISOLATED SHOWERS OR THUNDERSTORMS. Tonight E-NE 5-10 kts Light Chop 2-3 ft ISOLATED SHOWERS OR ISOLATED THUNDERSTORMS. Tomorrow E 5-15 kts Slight 1-2 ft ISOLATED SHOWERS. Outlook E 5-15 kts Slight 1-2 ft FRI. NIGHT: ISOLATED SHOWERS OR THUNDERSTORMS; A FEW MORE OVER THE SOUTH. 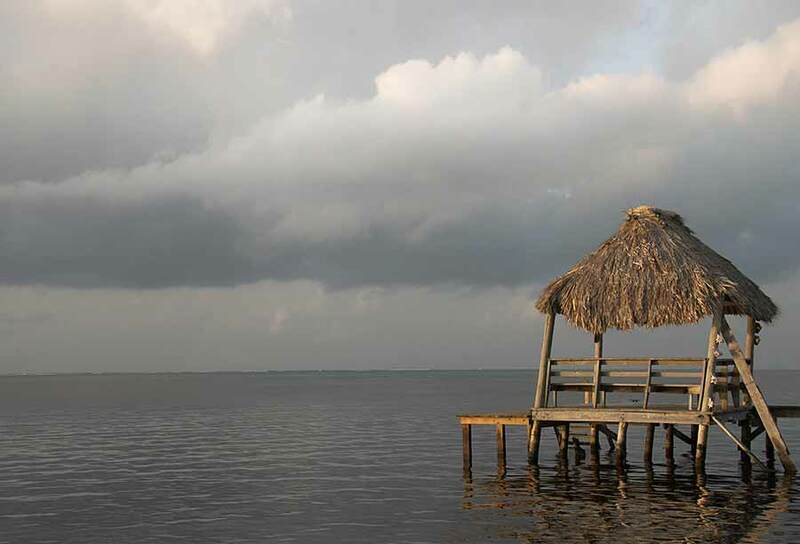 On Ambergris Caye this morning the breeze is coming from the North placing the reef in the lea and creating a flat calm on the waters around the reef and inner-lagoon. We have a few rain clouds floating around and a sprinkle here and there. The expected high is 88 f.
The air from the north has effectively pushed the high level from the west, further south, causing cloud over Toledo and patches of cloud over other areas. 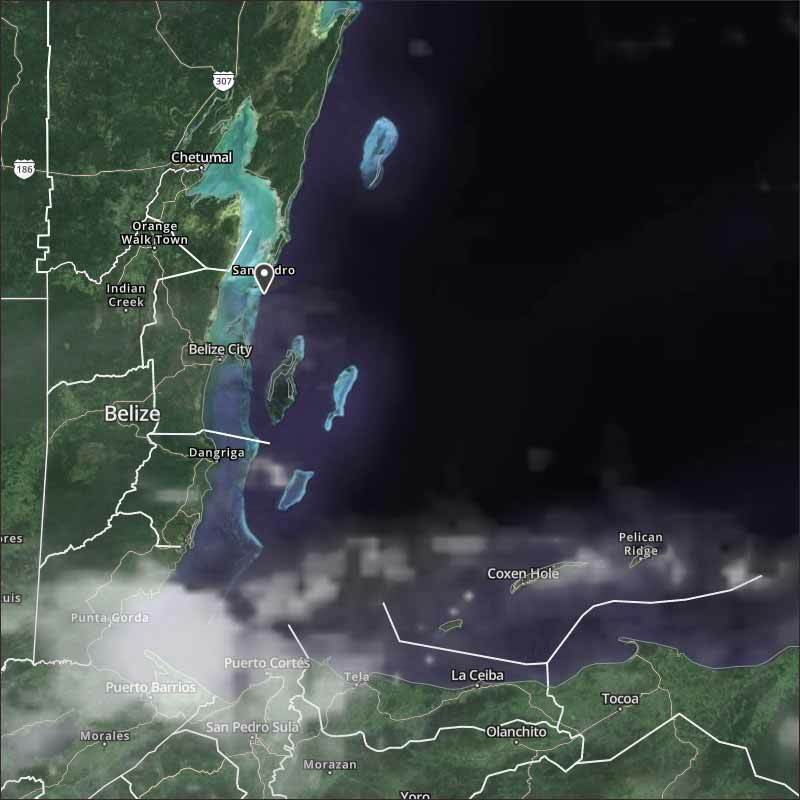 That has caused some rain in Toledo and a little in central Belize, but that is drying up. 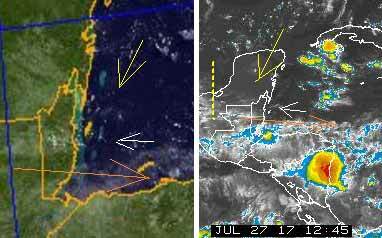 There is potentially more wet weather out in the Caribbean, south of Cuba. Looks like today will start of cloudy, then sunshine, with white clouds building this morning, there could be the odd rain shower.